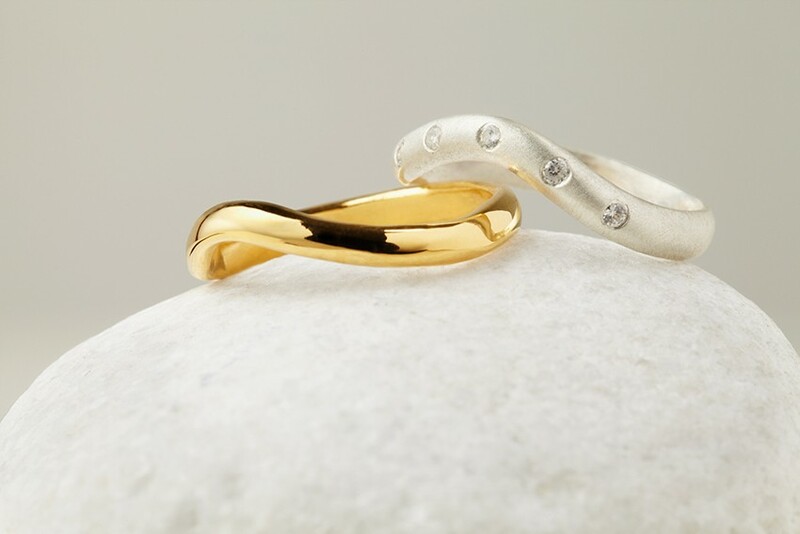 Ethical matching rings with a rise in their form creating a wishbone effect. 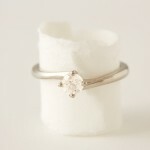 The front of the diamond ring has five 1.5mm flush set diamonds 0.075ct. 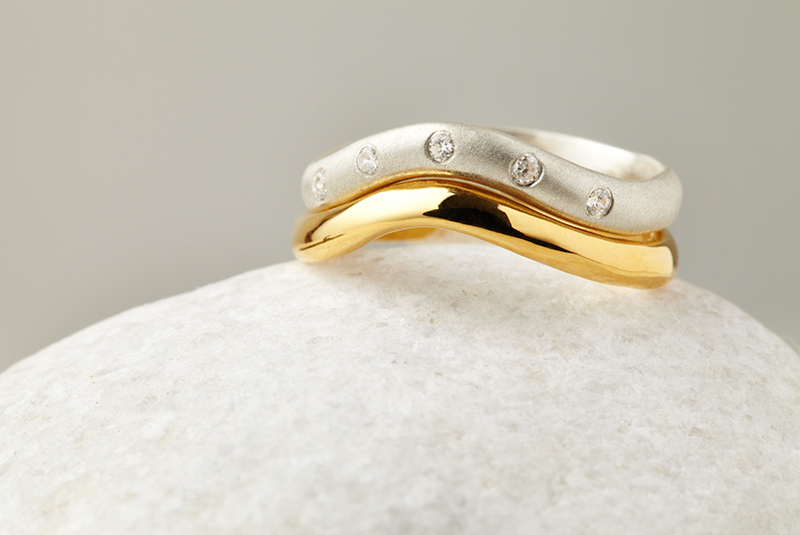 The plain band slips in beside the diamond ring giving a elegant curve that compliements the finger. Both are 3mm wide. 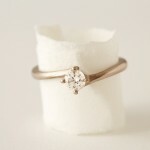 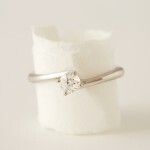 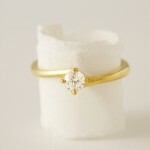 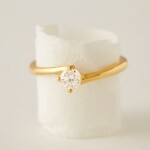 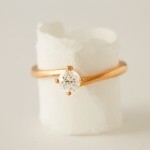 Prices start from £995 for a 0.075 carat flush set Canadian diamonds in 18ct Fairtrade Gold ring.